Dr. Ing. h.c. F. Porsche AG of Stuttgart continues its new-model offensive with a further version of the 911: due to be launched in October, the 911 GT3 RS is an extremely sporty model with the power and purist qualities of a thoroughbred circuit racer, but legally qualified in every way for road use. The 911 GT3 RS is a homologation model intended to serve as a basis for motor sport activities in accordance with the new international GT rules. 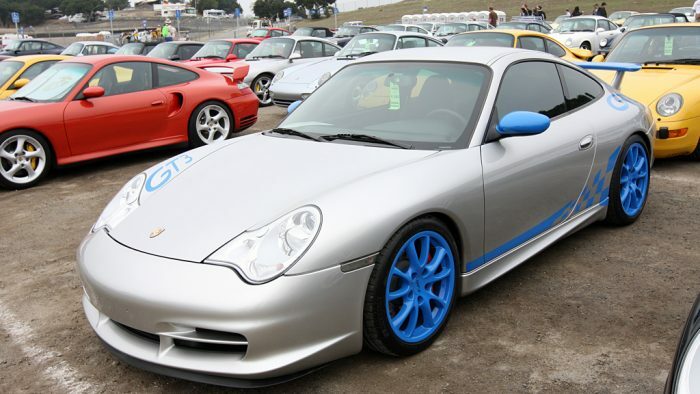 Porsche will build at least 200 cars of this type and supply them to customers. 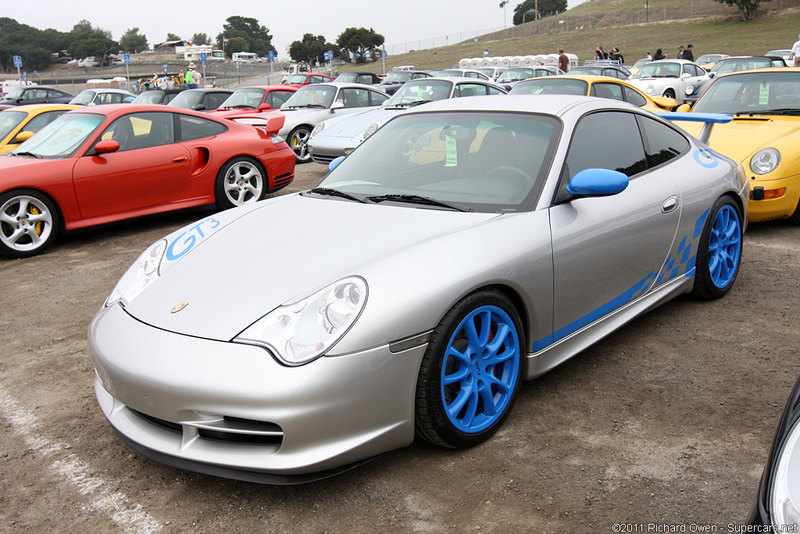 The RS in the model name will cause the hearts of all Porsche enthusiasts and motor racing fans to beat faster. Models such as the Carrera RS 2.7 of 1972 and the 911 SC RS (1984) were also built under the homologation rules, and not only represent proud chapters in Porsche’s heritage but often rewrote motor-sport history as well. 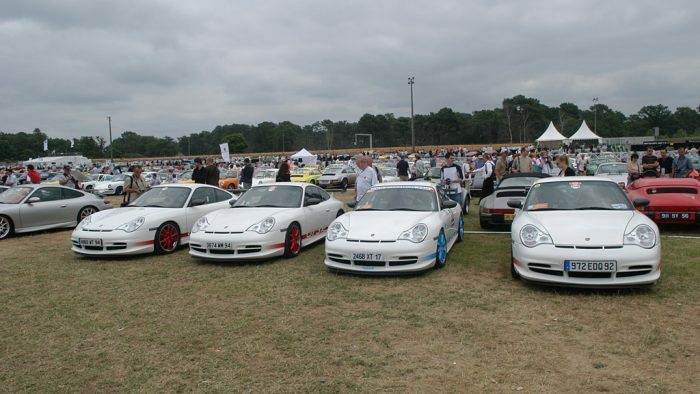 The new 911 GT3 RS is intended to continue this tradition. 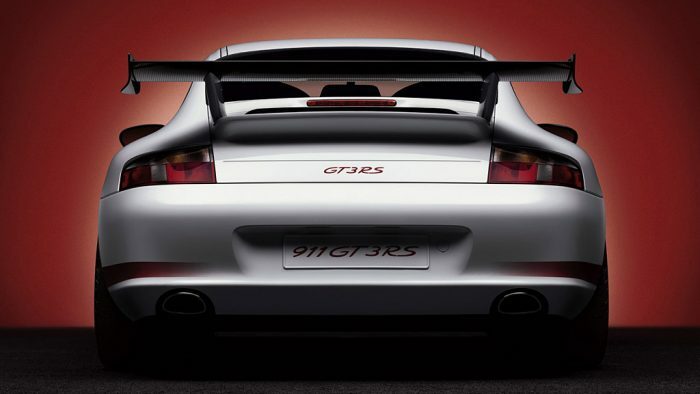 When the RS was developed, the emphasis was on achieving the best possible power-to-weight ratio. A figure of 4.86 kg/kW has resulted – a further improvement of four percent compared with the Club Sport version of the GT3. The new model is 50 kilograms lighter, and tips the scales at 1,360 kilograms with a full load of fuel (90 liters) in the tank. The RS, like its motor-sport predecessors, is only available with a full roll-over cage installed. All cars have a white paint finish, with the inscriptions only in blue or red, also in the tradition of its famous forbears. The road version of Porsche’s new top sports car has various technical features that will also appear on the racing version, for example the complete wheel hub assemblies, divided front-and rear lateral suspension control arms, optimized rear-axle geometry, a special weight-saving rear window made of acrylic material and a carbon-fiber reinforced front hood and rear wing. The engine is an extremely free-revving unit that develops 280 kW (381 bhp) at 7,300 revolutions per minute from a swept volume of 3.6 liters. The maximum engine speed is 8,200 rpm and the specific output 105.8 bhp per liter. These values are also applicable to the current GT3 model. An air collector located under the rear wing uses pressure build-up there to supply extra intake air to the engine at high speeds, so that the RS reaches its maximum power output even more easily, as borne out by its performance figures. 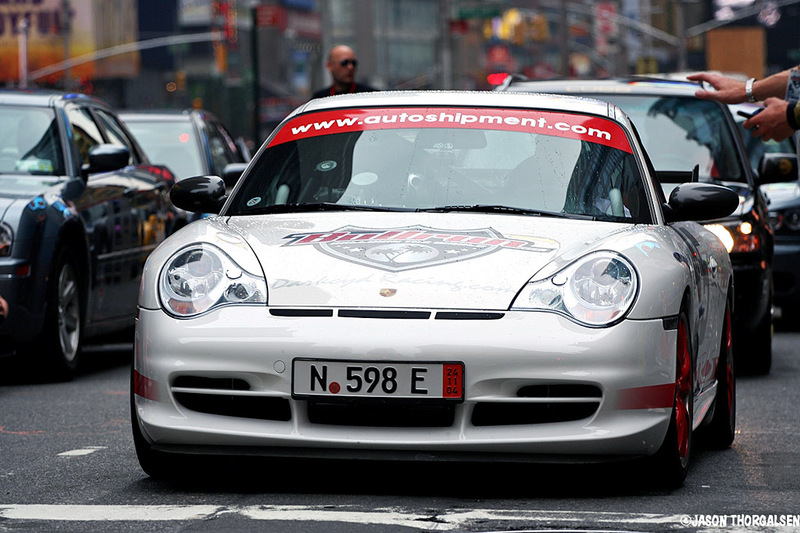 For the classic sprint from 0 to 100 km/h the GT3 RS needs 4.4 seconds, and goes on to reach 200 km/h in 14 seconds. Its top speed is 306 km/h. This abundant power is transmitted via a close-ratio six-speed gearbox. Between the engine and the gearbox the RS has a single-mass flywheel with a lower rotating mass than the double-mass version. The list price for this truly authentic RS driving feeling is 104,000 Euro (plus specific national-market charges). 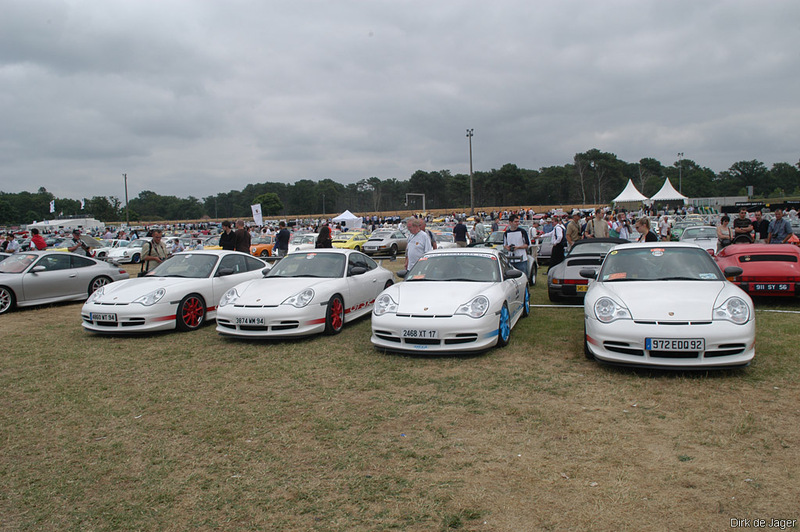 In Germany, for instance, the 911 GT3 RS costs 120,788 Euro including value-added tax. 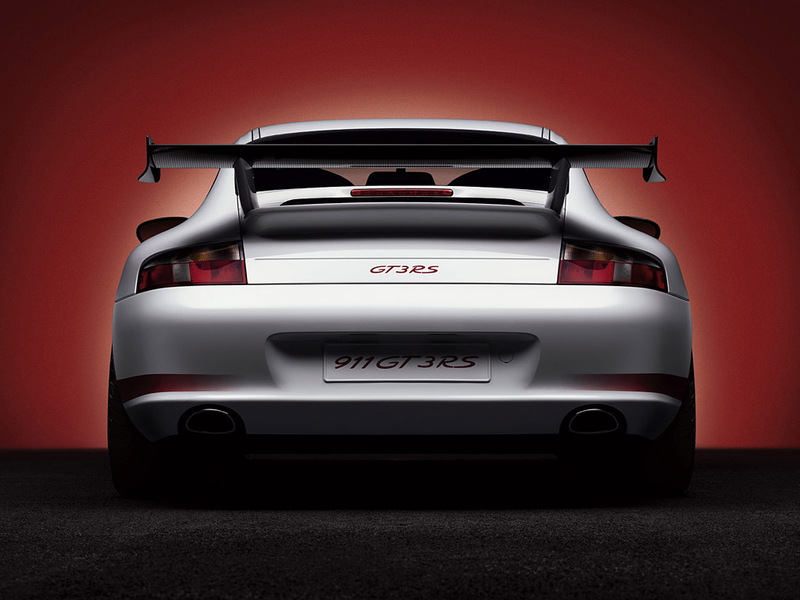 The GT3 RS is to be sold worldwide with the exception of the USA and Canada.